Everybody knows red rice is much better than white rice as it has more minerals and vitamins. Since most people do not like to eat red rice with sambar or rasam. 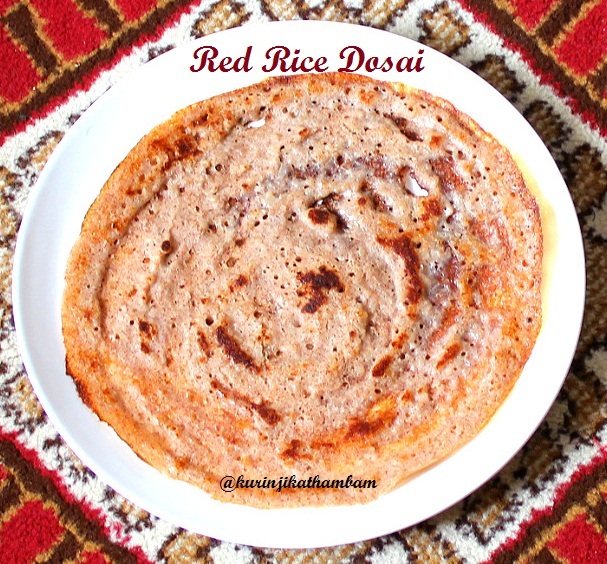 The red rice dosa is a alternative way to make them have it. 1. 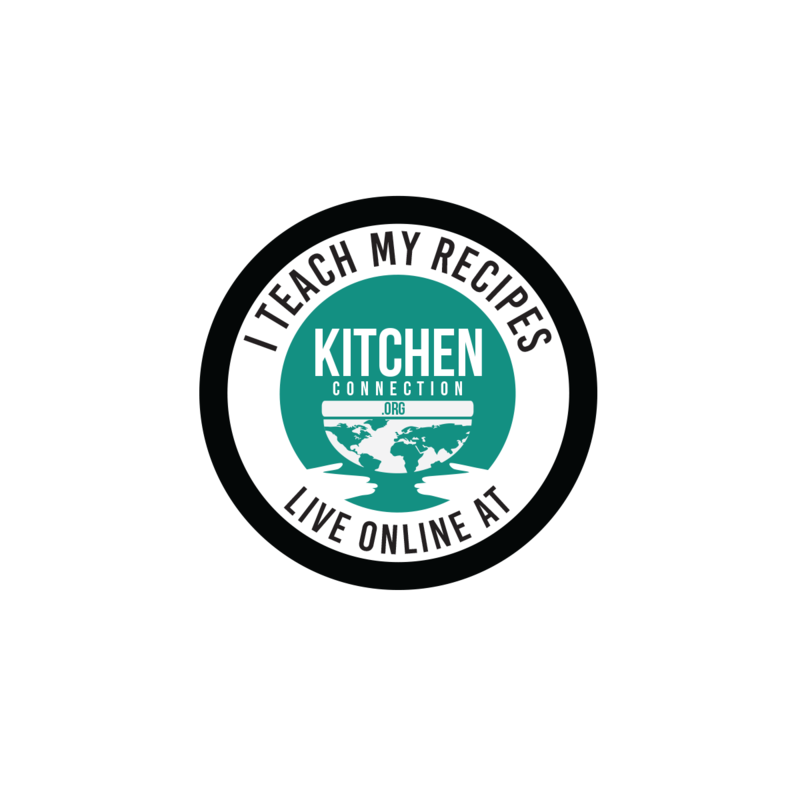 Mix both the rices, urad dal and rice flakes together. Wash and soak them for 3 hrs. 2. Grind them with mixer grinder into a smooth paste with water. Add water little by little only. 3. Transfer the batter into a bowl and add salt. Mix them well and keep it aside for fermentation. It will take 6-9 hrs for fermentation. 4. After it gets fermented, mix the batter with the ladle. Suppose the batter is too thick, you can add water and mix them well. 5. Heat the dosa tawa and pour one ladle full of batter at its center. Now use the backside of the ladle and spread the batter into a thin circular shape. 6. 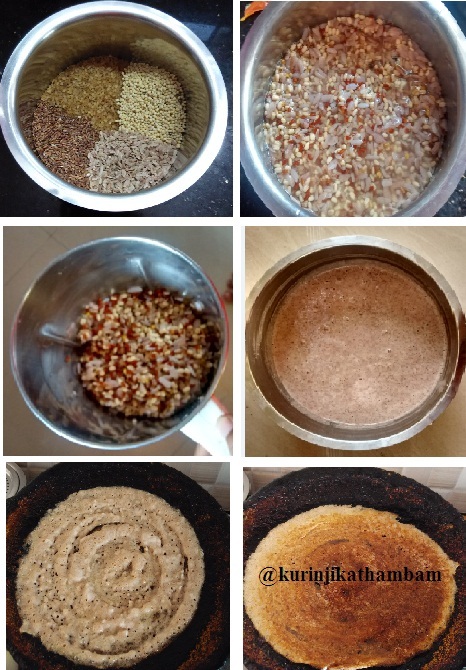 Pour few drops of oil along the sides of the dosai. Turn over once it reaches golden color. Then remove from the pan once it reaches golden on both sides. Raw coriander chutney goes well with this red rice dosai.